Wild garlic grows in dense woodland as it prefers damp, shaded areas. Identifiable by its strong garlic-like aroma and long, stringy green leaves, it grows from late winter to early spring, before bursting into petite white flowers. Unlike regular garlic, wild garlic is mostly used for its leaves, which can be either cooked or eaten raw. 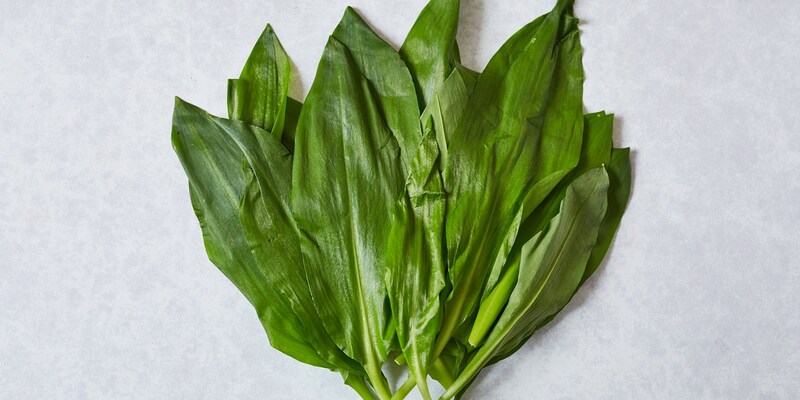 Browse this divine collection of wild garlic recipes for some inspiration on how to make the best use of this exciting seasonal ingredient. Try Colin McGurran's chicken with wild garlic and asparagus, Simon Hulstone's onion and wild garlic snails or Matthew Tomkinson's wild halibut with morels, wild garlic and Jersey Royals. For more information on sourcing and cooking this wonderful plant, visit our how to cook wild garlic pages.